ARE YOU SETTLING FOR HO-HUM CHRISTIANITY? Recently, I was challenged with this probing question: what is currently happening in your life that cannot be explained by anything other than God? Now I know we can rightly say that every breath we take is a gift from Him, but what is happening in us that cannot come from us? What God-sized work can you see taking place in you? For many of us, the longer we live as Christians, the more we get stuck in a spiritual rut. We go to church, have a daily quiet time, keep away from the grosser sins of the flesh, and try to be a positive influence at home and at work. We develop a respectable Christian lifestyle but lose the thrill and wonder of a vibrant walk of faith with the Lord. As a result, we cease to see God work miracles in and through our lives. Everything becomes routine and explainable apart from the power of God. Obviously, that is not the way God wants us to live. Ephesians 3:20-21 reminds us that our God is able to do far more than we can even ask or think. Therefore, we need to ask and think big! We need to do what William Carey, the father of modern missions, said to do: “Expect great things from God; attempt great things for God.” As we pray and believe for God to do what only God can do, we will see God-sized miracles begin to take place. Jabez is an obscure man in the Old Testament who has only two verses given to his life—1 Chronicles 4:9-10. Most of us would not know anything about Jabez had it not been for the best-selling book by Bruce Wilkinson, The Prayer of Jabez. To be sure, Jabez knew how to pray big! How would your life change if you started praying like that? How would your life change if you put Ephesians 3:20-21 into practice in your life? What if you began to really seek God and petition Him to work in your life in such a dramatic, miraculous way that it could only be explained by the power of the Holy Spirit? Wouldn’t that be great? Wouldn’t that take you to new heights with the Lord? I am convicted as I type this that my life has become too predictable, complacent, and safe. I don’t want to go another day believing for little when abundance is what God longs to give. Are you expecting great things from God? Are you attempting great things for God? Suffice it to say, if you and I want to walk on water, we must first get out of the boat! In the time of Alexander the Great, a philosopher of great ability was brought before his court. He needed financial help to continue his work. The philosopher boldly asked for an amount equal to $50,000. The treasurer refused such an outlandish request. But when the issue came to Alexander, he responded with these eye-opening words, “Pay the money at once. The philosopher has done me a singular honor. By the largeness of his request he shows that he has understood both my wealth and generosity." God has unfathomable wealth and is abundantly generous. He wants to use you and me in greater ways than we can even imagine. So pray big. Believe big. And see God do big things in and through you! PS. 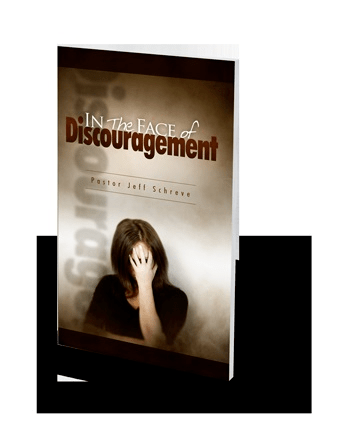 If this devotional has encouraged your heart in your relationship with Jesus, please let me know at ​pastorjeff@fromhisheart.org.